I popped down to Alistair's factory yesterday and whilst there we were discussing the modified handbrake cable and how difficult it is to install on the MK3 project car at his factory. What I did notice is the rear seat wells on this MK3 were far deeper and covered part of the rear subframe and completely hid the handbrake cable. The other MK3 coupe at Alistair's factory had the shallower seat wells the same as on mine and the register did show this and my MK3 being later built so we think the Corby factory may have made this modification on later coupes to aid the fitting of the handbrake cable. I wonder if anyone else was aware of this modification. I only wish I had took my camera with me. (shame on me). My current car is like yours, I think my last mk3 was deeper and that also changed access to the inner radius arm if I'm remembering correctly. I wonder if they also increased the tyre clearance in the rear of the front wheel arches at the same time, my first car was flat in that area, my current car is much more rounded giving more tyre clearance. 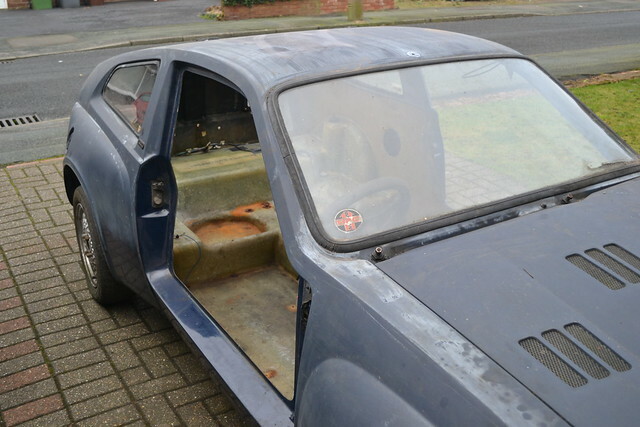 I have in stock somewhere, an add in rear seat squab with individual bum holes for the Mk3. this was in a factory built car I acquired and still have. I also had the same type of squab in the first Mk1, I purchased, now sold, but I know where it is. Last edited by Alan D. on Mon Mar 27, 2017 11:03 pm, edited 1 time in total. I was aware that the rear seat area had altered during mk3 coupe production at Corby, my first Midas was chassis 3011178 (Nov 89) and it had the shallow depressions, my second one (chassis 3011009 - 1986) has the deeper (more bum shaped) depressions. It may be possible to find two consecutive chassis numbers with different depressions to pinpoint just when the change took place from round arses to flat arses.